ADP Document Portal - Will You Outlive Your Assets? As you’re nearing retirement age, learning about the different saving options that are available to you can assist in planning for a secure future. ADP Retirement Services offers a library of information that provides you with the resources to help plan for your future retirement. The video below provides information about different saving considerations when planning for your future retirement. Want to view more information about the Financial Wellness? 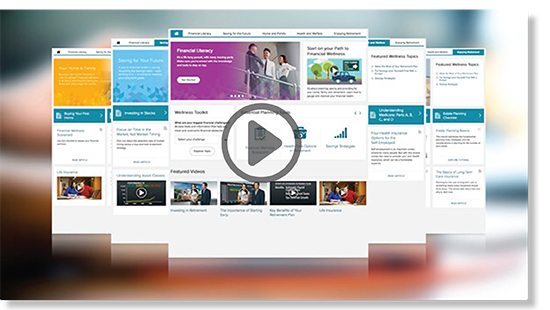 Click the link below to view a video about the ADP Retirement Services Financial Wellness Program. Accessing the ADP Retirement Services Financial Wellness Program is easy. If you’re a 401(k) participant in an ADP Retirement Services plan, you have direct access to the ADP Retirement Services Financial Wellness Program. Simply log into your Retirement Savings account at www.mykplan.com or the retirement savings portal used to access your account. 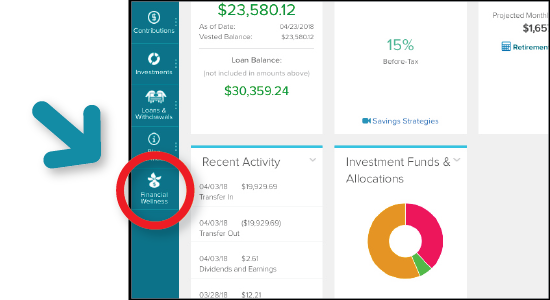 The ADP Retirement Services Financial Wellness Program is easily accessible through the ADP Retirement Services Participant Website. Unless otherwise indicated, educational videos, articles, and tools on the Financial Wellness site are provided by and are the property of DST Systems, Inc. All other videos, articles, and tools are provided by and the property of the third parties named therein. Links to third party websites are provided for information purposes only. The Financial Wellness program and its related materials are provided for educational purposes only, and are not intended to be, nor should they be deemed as, investment advice, financial planning, or tax assistance. Any projections and other output generated by any calculators or tools are hypothetical in nature, do not reflect actual investments or investment results and are not guarantees of future results. The calculators and tools simply apply user input and the assumptions selected to provide a rough assessment of the likelihood that hypothetical results may be achieved. Users should not rely on these materials or output as the primary basis for any investment, financial, or tax planning decisions. ADP, LLC and its affiliates (ADP) cannot guarantee or assure a user’s ability to meet any of his or her goals or that any hypothetical results actually will occur.